Video Memories, based in Macroom, Cork, tasked Sixmile Design for their new branding. This consisted of a logo design and new website. 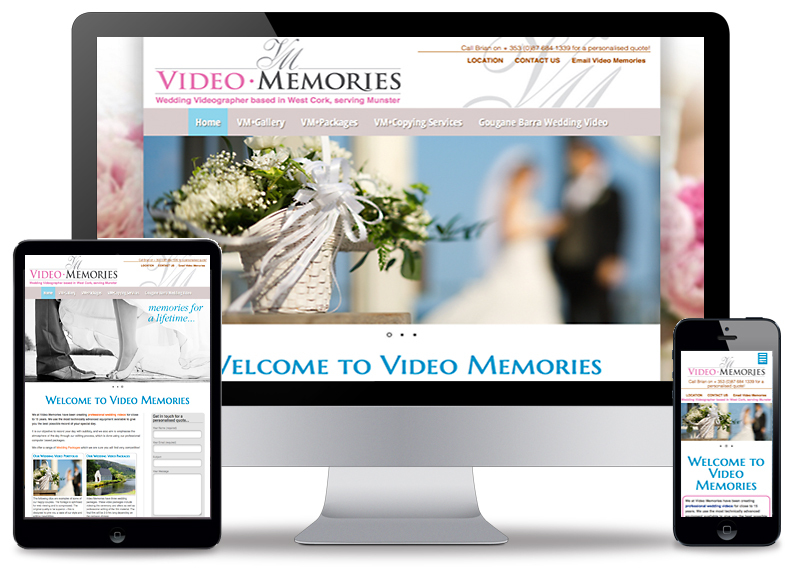 The company itself excels in creating professional wedding videos. The end result is featured here. The logo feaures a scripted motif that appears across the website design, while the grey and pink work well together. The website is built in WordPress and features a responsive design. The site also features a video gallery that showcases video samples. The gallery is an important page in any website as it gives the (potential) customer a unique view into the finished work of the company. This gives the potential customer an idea what to expect.